Tucked away behind the Costa del Sol in the region of the Axarquia, Andalucia, are the three white villages of Competa, Canillas de Albaida and Archez. They all have their distinctive characters. 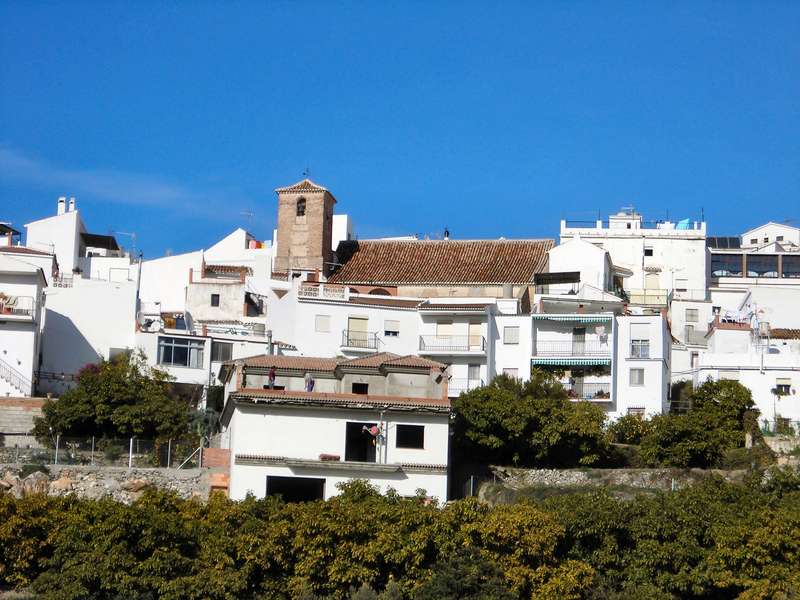 Competa has grown into a small town over the years but still retains a charm of its own. Canillas de Albaida is a beautiful, tranquil village, 3 kms from Competa which is itself at the apex of roads winding up from the coast at Algarrobo Costa and Torrox Costa. Archez is also a growing village and with its Ruta del Mudejar and Arab minaret, it has a fascinating history. 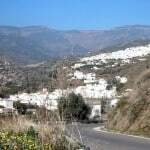 Canillas de Albaida has a population of about 964 residents, Competa has over 3,861 and Archez has 460 (National Statistics Office 2012). Canillas de Albaida has seen considerable growth since the turn of the century, but the atmosphere is still firmly Spanish whereas Competa is more cosmopolitan. As all three villages sit at the base of the mountain of Maroma (2,080m) in the Sierra Almijara and Sierra Tejada National Parks. The former is one of the most important sources of dolomitic marble in Spain. Who would have thought in all this peace and tranquillity that the whole area was devastated by a huge earthquake back in 1884, the strength of which shook the region across to Alhama de Granada. 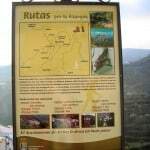 The route between the three villages, either walking or driving, makes for a great day out with some excellent tapas bars and restaurants in which the traveller can relax, take in the atmosphere, history and general environment. Ancient olive trees, fragrant almond groves with their special brand of delicate pink flowers, trees laden with oranges and lemons… all of this is part of the appeal of the area. The three villages are Andalucia at its best. Horses are still part of life and the local equestriennes are often joined by equine enthusiasts from all over the world in their fairs and fiestas. There are an estimated 3,000 fairs and fiestas in Andalucia, and the three white villages miss no opportunity to enjoy their fair share – if not more. 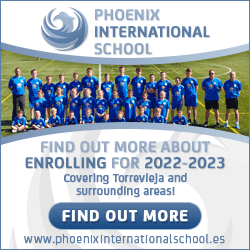 Times have changed, fincas and land have been sold to foreigners but the basic essential values have not changed very much. Local people still tend to land they have retained as have their forefathers. They now travel in cars rather than horse or mule drawn vehicles, but their values have not really changed. Many local people have been away and returned to their villages to set up family businesses which assist with the local economy. One example of this is El Churro, a beautiful little bar in Archez which specialises in the most amazing steaks and barbecues. Life beyond the costas goes on much as normal, despite the influx of foreigners.